Is it a flea? A tick? 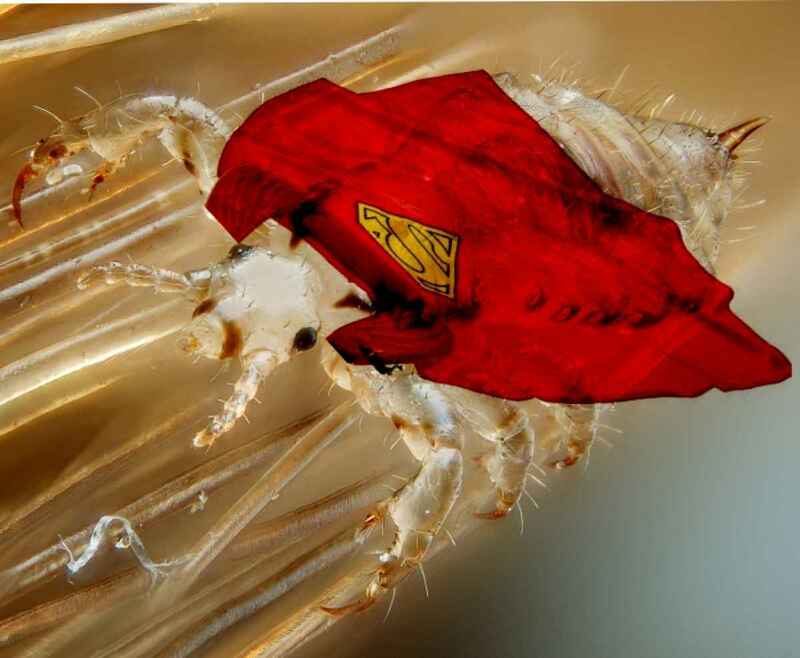 No – its Super Lice! Super Lice have Spread to Almost Every State. How can we Combat them? It is no secret that head lice are a hassle. They are difficult to remove and typical treatments never seem to work. In fact, in a poll of 2,000 US mothers over two thirds reported that it took two or more applications of over the counter lice treatment products to remove the infestation or that these products were never able to remove the infestation to begin with. Why are these products so ineffective? It is because there is a new strain of head lice sweeping across the nation that is stronger and more resistant than ever before: Super Lice. What are Super Lice? These bugs are a strain of lice that have grown resistant to most over the counter treatments. How did they become so resistant? When a chemical treatment is used against an infestation of head lice there may still be a small percentage of lice that survive. These lice are not only resistant against chemical treatments but they grow even stronger by surviving. These lice then lay new eggs, the lice infestation comes back stronger than before, can spread to others and this cycle repeats until we end up with head lice that are resistant to the products that we originally used against them. Families that deal with an infestation of Super Lice become frustrated, stressed and exhausted because no matter how much the infestation is treated, it always seems to come back. How can your family stay protected against Super Lice? The answer is to seek natural, non-chemical treatment and preventative options. Head Hunters L.R.S. offers an array of services to fit your head lice needs. Head Hunters L.R.S. specializes in head lice: education to awareness, proactive to prevention, head check to treatment and everything in between. Through research at the Head Lice Specialist Labs , we understand how head lice are evolving, what products are needed to prevent a case, and most importantly, how to successfully remove any case of head lice. Over the years, Head Hunters L.R.S. has become a valuable member of the community with referrals from friends, family, pediatricians, pharmacists and even other local lice removal companies. Your trust is important to us!